Malaysia is one of the best countries in the entire world for nature lovers to explore and discover new elements. The country had been very supportive with its attempt to preserve the precious Mother Nature, even though Malaysia is currently a developing country. In Malaysia, you would definitely find lots of original and untainted natural resources still being well-protected by the Malaysian government. If you are to visit Sabah, the Kinabatangan River in Sandakan is one place you should not miss to witness the gorgeous nature beauty preserved by the local people and the Malaysian government. The Kinabatangan River is precious as being one of the best places in the entire world in terms of the preservation of the ecosystems in the country. It is also considered to be having the richest ecosystems one can find in the whole world. Thus, visiting the river will definitely help you in enhancing your knowledge on the different treasured flora and fauna residing in the state, as well as helping you to retain your appreciation towards the beautiful Mother Nature. 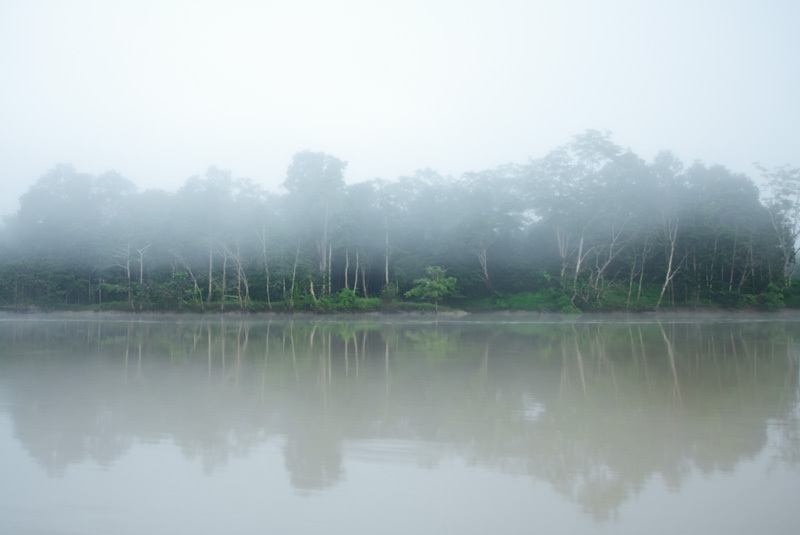 Upon visiting the Kinabatangan River, you will find yourself being exposed to five different types of habitats, such as the dry, waterlogged forest, the limestone forest, as well as both the freshwater and saline swamps. Here, you will find yourself witnessing the daily lifestyles of the state’s treasured fauna such as the orang utan and also the proboscis monkey. If you are lucky, you will even get to see the ten different primates lurking and peeping out of the forest surrounding the river while you are touring around the place. Apart from the primates, you will also be able to catch a glimpse of the treasured Asian elephants or the Sumatran rhinoceros, which might come out of their hiding places in search of food or just for a quick walk around the area. If you are interested to know more about the animals residing in near the river, you can also join the night safari, which will help you in witnessing and learning more of the different animals that will only come out at night. The night safari is especially beneficial for individuals who wish to observe the night lives of animals such as the birds and crocodiles. The Kinabatangan River is also the ideal place for nature researchers to learn more about the preserved flora and fauna in the river. Nature researchers can choose to join the homestay program offered by the local people, which are definitely highly beneficial because they would be able to learn the habits of the flora and fauna residing in the river, as well as enhancing their knowledge on the daily lifestyles of the local people who stay near the river.